1. 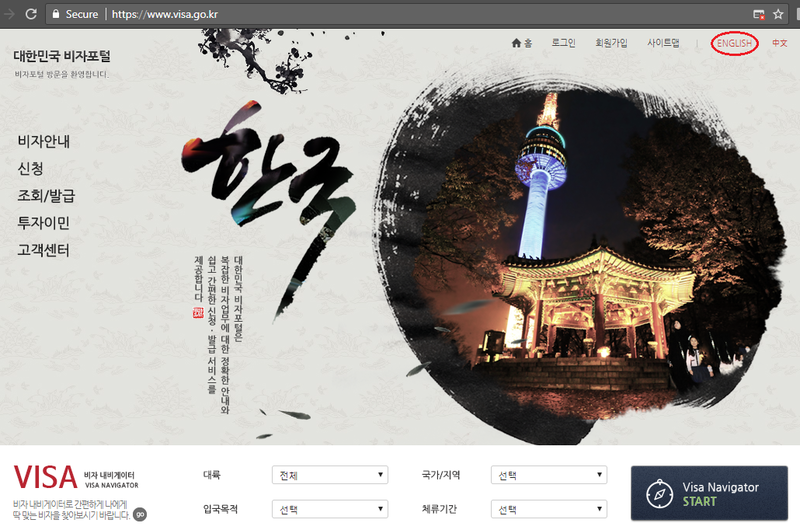 Go to https://www.visa.go.kr/. The default language is in Korean. 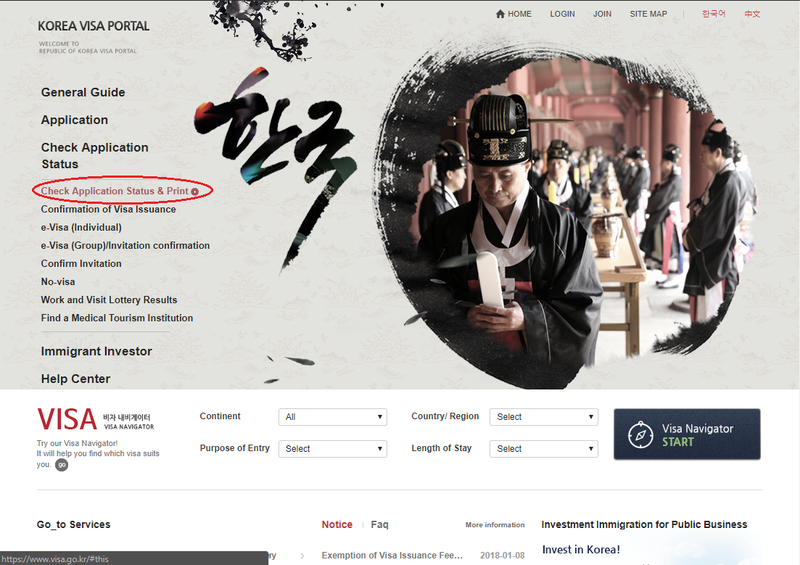 You can change it by clicking your desired language in the upper right of the website. 2. Hover to Check Application Status. 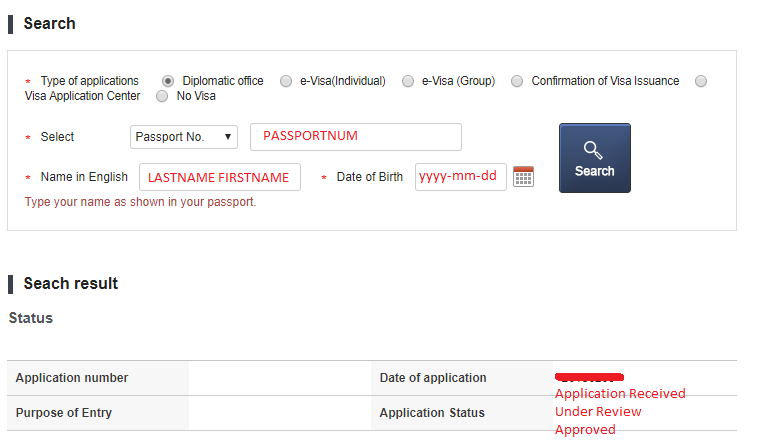 Then click Check Application Status & Print. 3. Fill up with your info. Click search. 4. Application status will display.